Yesterday I went to the Theatre to enjoy a Cole Porter musical called “Anything Goes”. 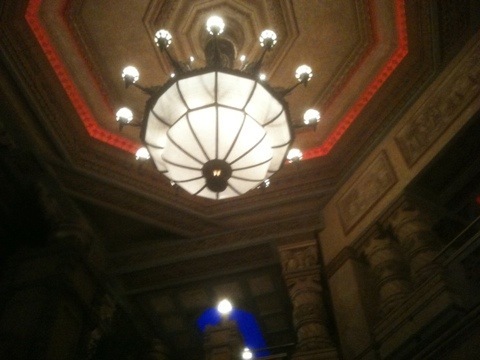 The show was held in the fabulous Civic Theatre (photo above) which is always a great experience in itself. Amusingly as I looked around the theatre while we waited to go in and take our seats I felt like the youngest person there. I guess this has something to do with the fact that it was a Matinee performance – but still, I wonder why there were no young people there. The show was fantastic – I loved it. The set was stunning, costumes great, acting wonderful and singing marvellous. I was very surprised how many of the songs I actually knew. Not sure why I didn’t realise the song Anything Goes is of course from this musical. But the thing that blew me away the most were the very clever and fantastically choreographed tap dance routines they were very impressive and definitely the highlight for me.